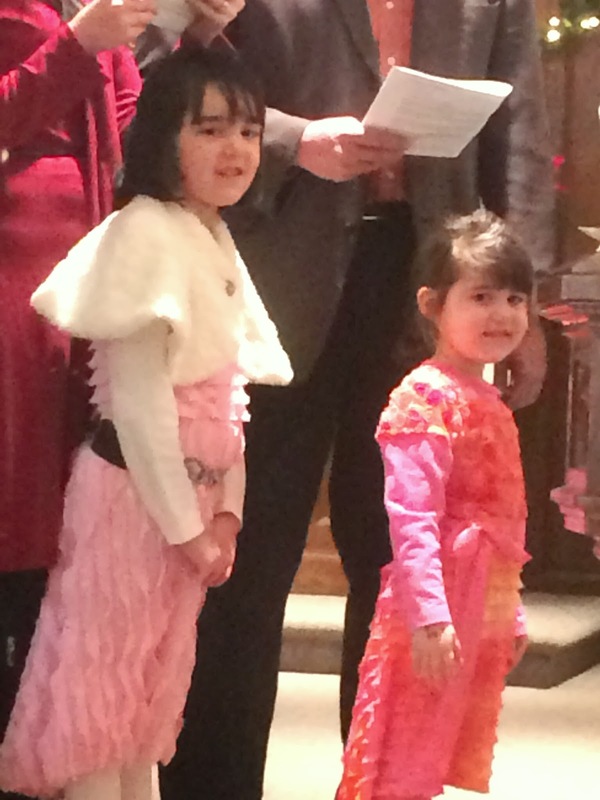 Here are Thing 1 and Thing 2, in new dresses, getting ready for their baptism. I know, you are supposed to do this when they are babies, but I only recently found a church that I actually like. About a month before the big day, Grandma asked if she could either buy new dresses for them or buy me fabric to make them. Yes! And I immediately knew what fabric I wanted: ruffle fabric! Everyone loves ruffle fabric, right? I have wanted to sew with this fabric for about two years now, ever since I saw Big Dill's Coastal Curtsy Skirt tutorial, but it's pretty pricey so I waited until I was spending someone else's money (this is the advantage of having clients and Grandmas!). I still want to sew this skirt for myself, but I have about 20 other projects I want to sew first. Ruffle fabric is a stretch fabric with layers of ruffles. I ordered this fabric from RuffleFabric.com, but you can find it on Etsy and Fabric.com and I'm sure other places as well. The girls had fun picking out what they wanted. I created a pinterest board for them and we pinned all the fabrics and trims that appealed to them. I made some rules, like, "If you get that lace fabric, you will never be able to wear it to school." and, "You have to pick one trim, not all four." Belly choose the light pink fabric and a black/pink lace ribbon for a belt, and Mooper picked the tie-dye rosettes and ruffles. The girls then picked out their fabric dresses from their closet and told me what they liked about them. I made a pattern from the bodice of these dresses and then used Big Dill's very clear directions to make the dress skirts. This skirt is super simple: ONE SEAM. For Belly's skirt, I laid out the fabric so that the ruffles were vertical in front and horizontal in back, and I reversed this for Mooper's skirt. I lined the bodice with a matching knit fabric, but left the skirts unlined. I love the change in direction in the back! The one tricky thing I realized about sewing with ruffle fabric is that you have to be very careful when you are cutting to make sure you don't cut off a ruffle accidentally. I did this in one place on Belly's bodice (you can see it in the picture of the front of her dress if you look near the neckline), but since you won't notice it on a galloping horse (or child), I decided to let it go. Her favorite way to wear this dress now is with a yellow top, and you can't even see the mistake this way. I love how the ruffles move! The girls were very pleased with their dresses and they LOVED getting their heads all wet in church. The day afer the event, I caught them playing baptism over and over again in the bath. 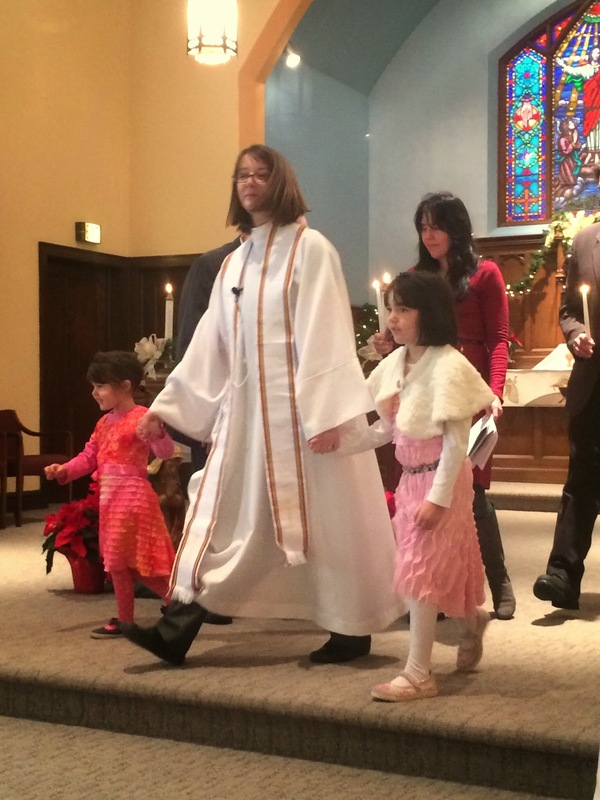 One would baptize the other, and the one who was just baptized would yell out, "Now I get to be Pastor Julie!" 15 comments on "Special Dresses"
Beautiful dresses, for a lovely occasion! Beautiful. Their baptism will mean so much more to them since they will actually be able to remember it!!! Such a lovely story, and you made, with the designer's help ;-) the perfect little dresses for the occasion. I can tell that you had as much fun sewing their dresses as the girls did wearing them! What a blessing. We did have fun, although the designers were quite demanding! They already have a strong sense of what they like and don't like. I have no idea where they get that from . . . Such dolls! I love it that they were playing baptism, LOL! The dresses are adorable, and what girl doesn't love ruffles?! And since I have such girly girls, I think I have a lot of ruffles in my future . . .
What dear sweet girls you have and the dresses you so lovingly made look gorgeous on them. BTW, I finally got my Coverstitch machine out of the box and used it on a trial tee-shirt. I have a few things to perfect but I was delighted with it. Now I might make a Jalie dress like yours with my Merino. So glad the coverstitch experiment worked out! 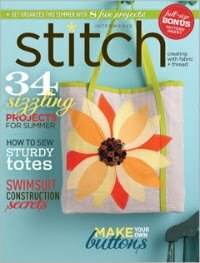 The coverstitch is one of those things I find magical about sewing. I'd love to see your merino Jalie dress! Love those dresses and those pics with the natural light! And I love the ruffle fabric, I didn't know that was a thing, very cool! Isn't it awesome? I'd love to use it in one of my young kid classes as it's pretty easy to sew up, but at $19/yard, I think the parents would stop breathing.